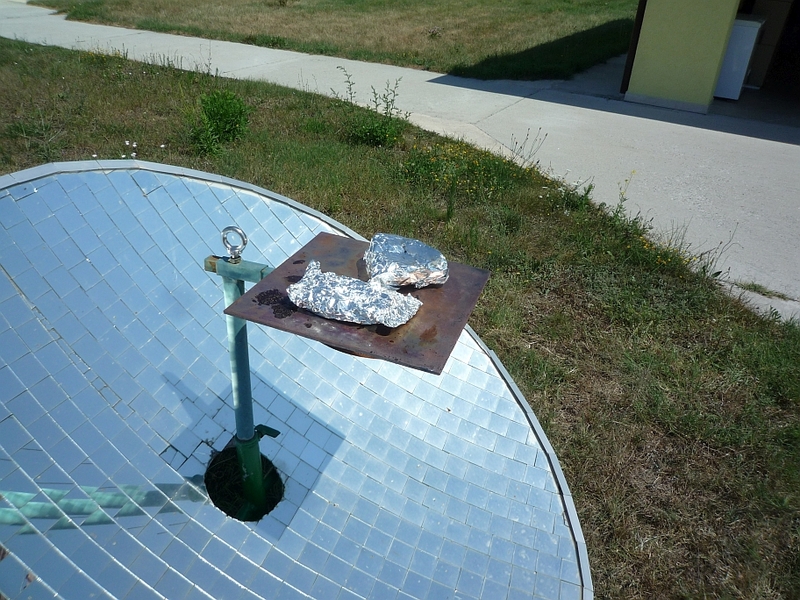 Baking peppers on a copper plate with 140cm parabolic, the peppers themselves wrapped in a kitchen foil. - The copper plate dimensions 30x30x0.5 cm, underside painted black. Copper is an excellent heat conductor, which ensures even distribution of the concentrated energy throughout the plate. Here we have a full sence solar hot-plate. -The dimensions of the copper plate are not strictly defined. In our case, up to 20 peppers could be collected. - The peppers in one packet should be of the same type( the same consistence). - About 20 minutes baking required for each of both sides of the packet. The thicker consistence peppers require longer baking. - The advantage of this method is that you do not bake peppers one by one, but entire packets. 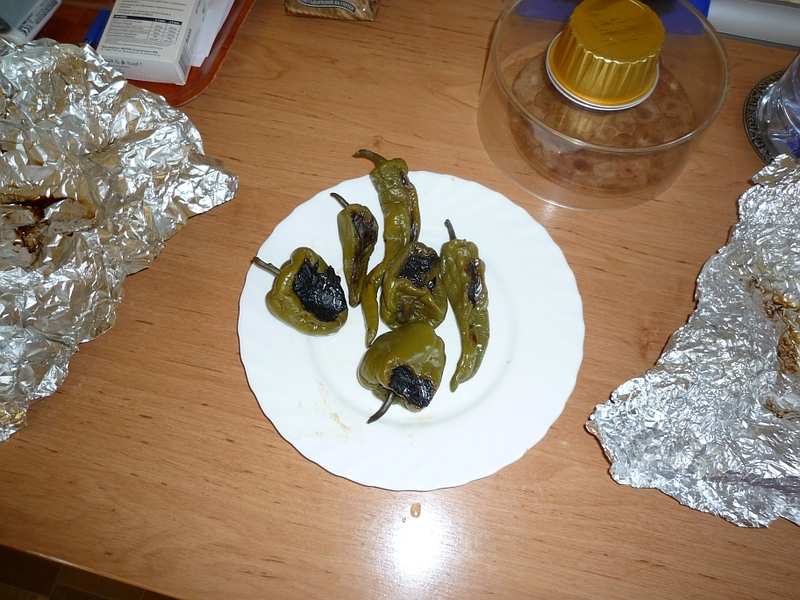 - After removing from the plate, the peppers are left for some time in the foil for stewing. - Finally the peppers are being peeled.